Japan is situated on moisture belt that means when precipitation rolls in, higher elevations get dumps of snow. Not only are the Japanese Alps picturesque AF, they are also where deep Japow can be found. 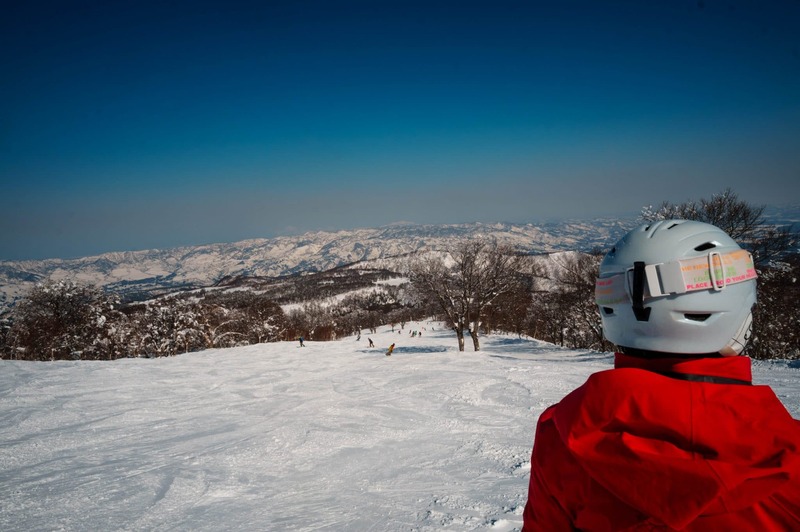 If you’re used to skiing in Europe, New Zealand, or North America, skiing in Japan will be an incredible experience. From ramen for lunch on the hill, to sake for après, skiing in Japan will combine an exhilarating alpine terrain with a cultural experience like non-other. We particularly loved Nozawa Onsen, for its authentic Japanese mountain-town feel and fewer crowds than its more famous counterparts in Hakuba or Niseko. 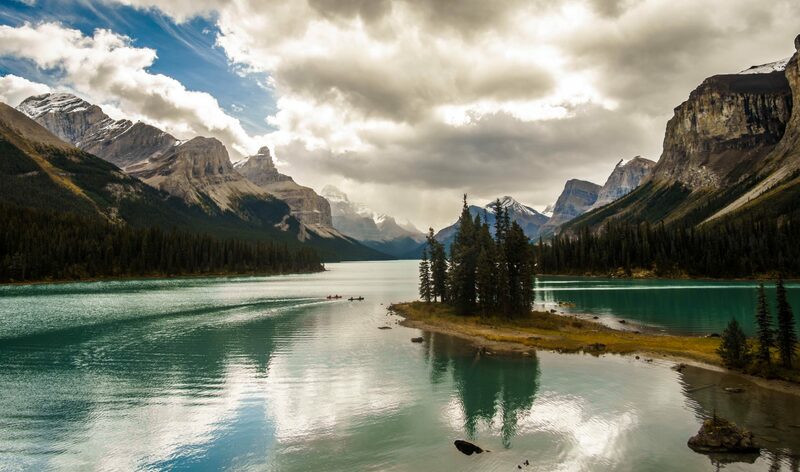 Who wants to soak in a hot spring when its over 30 degrees celsius? 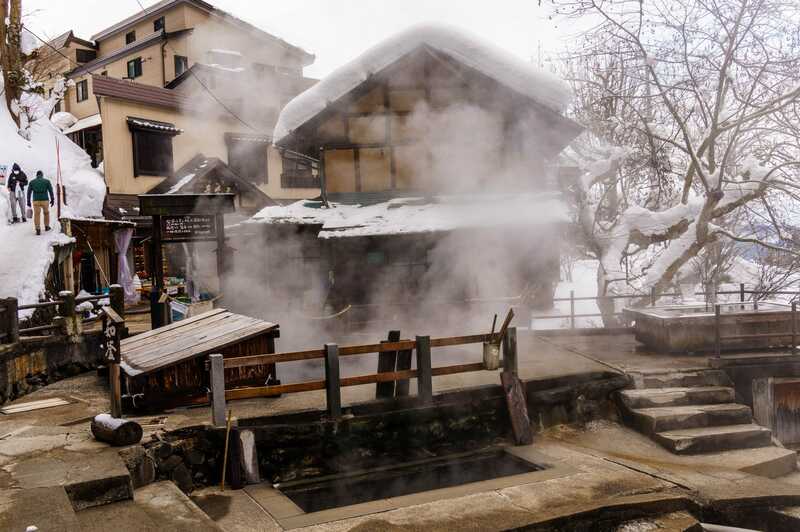 Touring Japan in winter means you can fully take advantage of its wonderful onsen (hot spring) culture. Nozawa Onsen for example, has over 13 separate hot pools and the tourism office even offers a small prize to tourists who visit all of them. They range from sterile pool-like environments to traditional wooden structures that take you back in time as you soak. Nozawa Onsen even has a public foot soaker that I tried out while Mr. Zen took his sweet time getting ready after a soak in the oldest onsen in the town. Steam rising from a the villagers-only onsen. No visit to Japan in winter is complete without a trip to Jigokudani Snow Monkey Park. 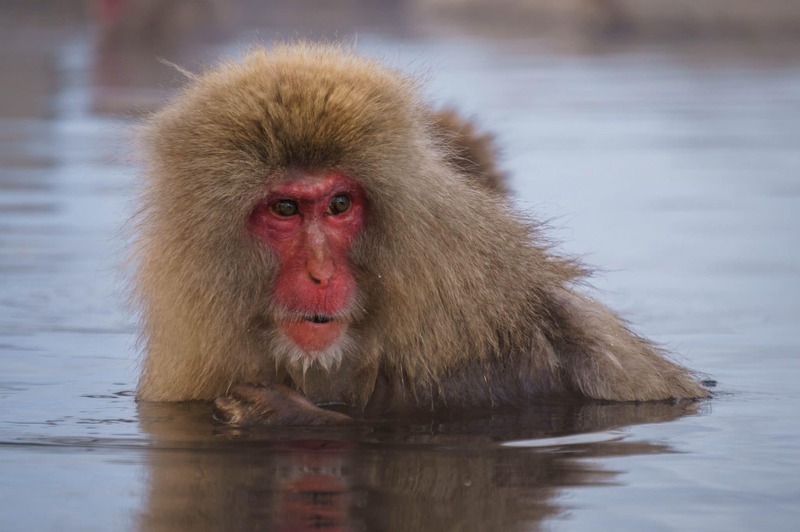 Nestled in a beautiful old growth forest, the Snow Monkey Park is home to a large monkey population that enjoy taking a dip in the park’s onsens. Seeing the families of monkeys soaking in the springs is a sight to behold any time of the year, but the scene is extra magical when snow frames the pools as warm mist rises from them. Plus you get to see snow monkeys frolicking in the snow. It’s an unforgettable experience. 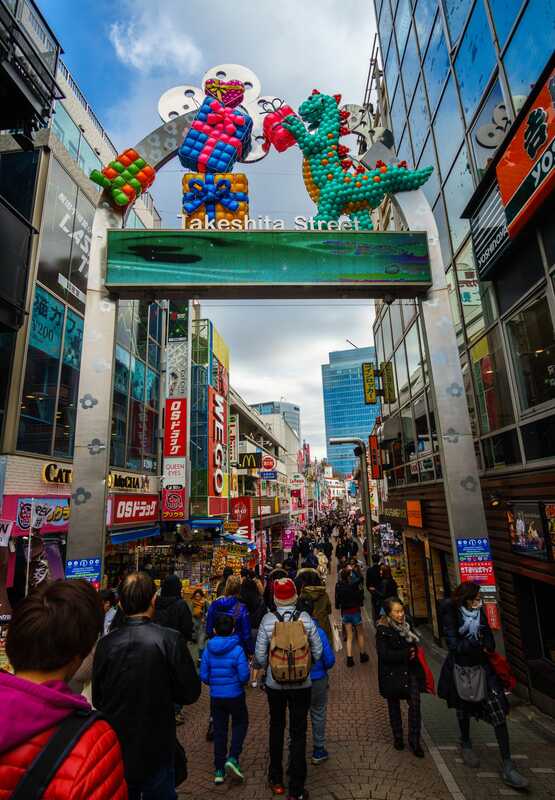 The ski hills may be busy in winter, but Tokyo enjoys a slight reprieve from the crowds during the winter. In late February/Early March when we were there, trains had room, hotels had vacancies and restaurant staff had more than ample time to be patient with us. Although it may not be the official cherry blossom season, we still saw a few trees in bloom while exploring Tokyo. It is also considered low season in the city, so enjoy the extra few yen because you will need them. OK there were still some crowds but Takeshita Street was certainly a sight! Everyone thinks of cold sushi and sashimi when they consider Japanese food, but Japan’s warm cuisine is truly exceptional and so fitting in winter. Ramen is a famous cold weather standby, but udon noodles and donburi rice bowls can be equally satiating when the mercury drops. 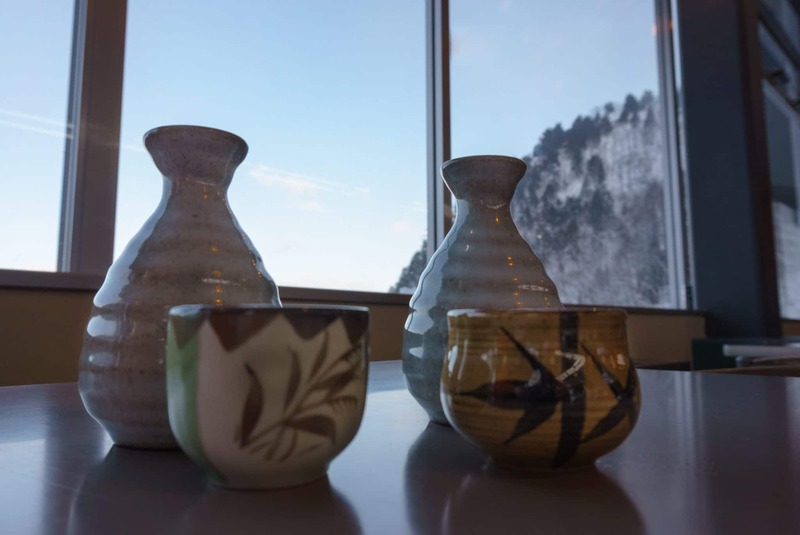 Sencha tea and matcha teas warm the soul, as does warm sake which can be dispensed from a machine on demand. Indeed, Japan has a culinary speciality for all occasions, including when you desperately need a warm-up. Warm Sake after a cold day skiing. There is even a restaurant in Iiyama that serves a massive bowl of pork and local vegetable hotpot in a snow hut. Unlike most destinations in Japan, it can be a bit tricky to get to via transit, but it is well worth the effort. Eating lunch in a snow hut is a unique experience! While Japan may not be the first winter destination that comes to mind, it has plenty to offer even for those who don’t ski. 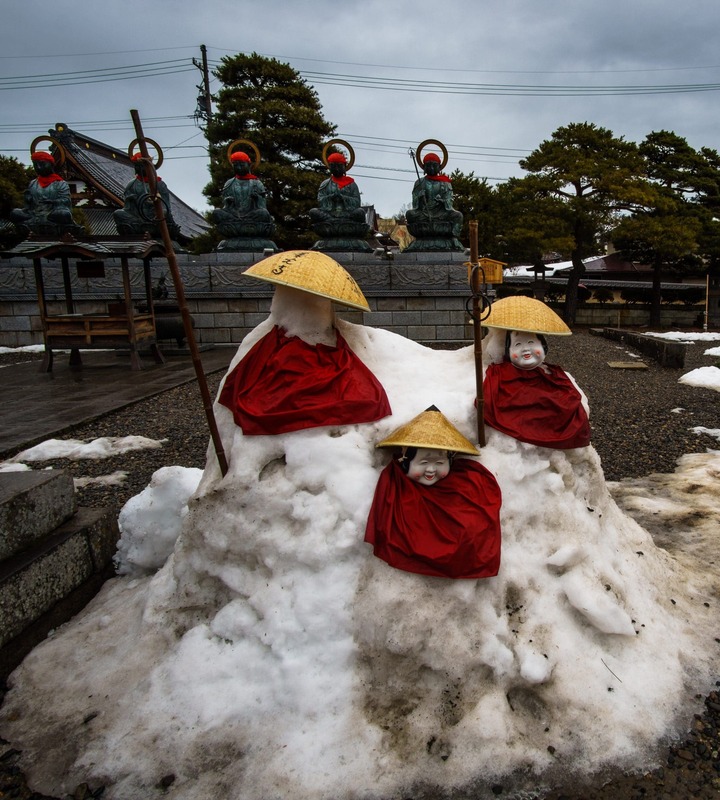 Temples and hot springs cloaked in snow, steaming bowls of ramen, and fewer crowds are reason enough to consider Japan for a winter trip. We’re very glad we did! 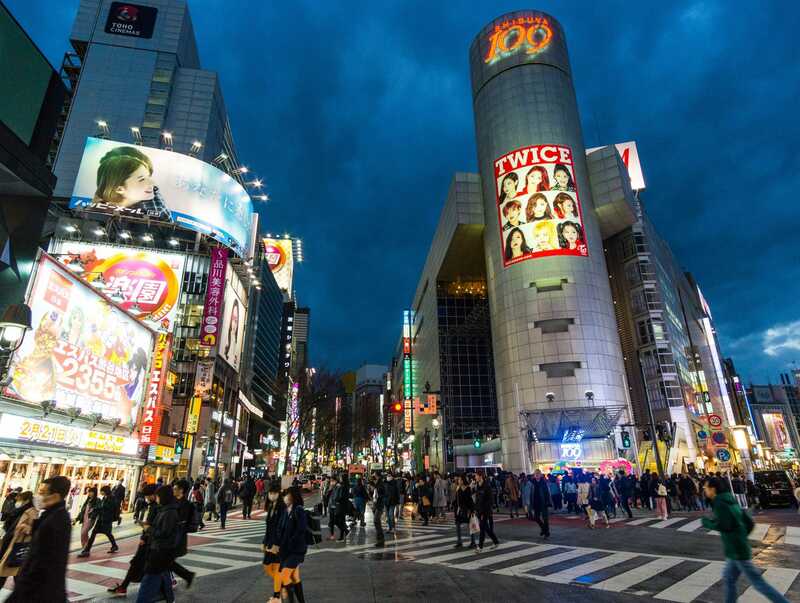 Of course, Shibuya Crossing, Tokyo is sight to see any time of year!